Is Your Cell Phone Exposing You to Identity Theft? Protecting your identity involves protecting anything that contains your personal information. And your cell phone or smart phone contains more data about you than you may even realize. Smart phones today are basically small computers, except they often do not have anti-virus protection on them. We use these devices for surfing the internet, checking bank accounts, and even making monetary transactions. The secret service has been trying to fight against identity theft and is recommending a cell phone firewall for all cell phone users to help guard against this kind of electronic hacking. People are spending more time on their phones as they are capable of doing more things. One of the most vulnerable aspects of using your cell phone is online banking. These connections are supposed to be secure, but if you are able to access your bank account by just pressing a button on your phone, then a thief who steals your phone can do the same thing. You can build a cell phone firewall by taking a few of these precautions. First, every smart phone has security features built in and you should turn all of these on even if it makes life a little less convenient for you. Your passwords should also be encrypted just in case your cell phone is stolen. Otherwise a thief could have access to every aspect of your life, from your Facebook account to your e-mail to your banking information. And even just having access to your e-mail can lead to identity theft since many people keep personal files and documents in there. 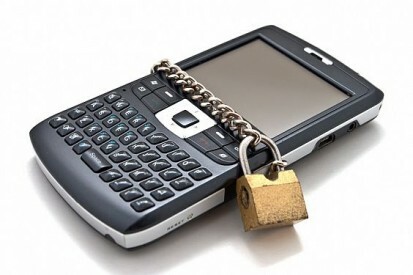 If your cell phone has been stolen and you did not encrypt or protect your e-mail passwords and banking passwords you should try to change those as soon as possible. If you change your e-mail password in time a thief will not be able to use your phone to get into your account and get more information about you. Fortunately, digital phones are much more secure than analog phones, and it’s hard to find anyone with analog phone now a days. But there are still other threats against cell phone security. The fact that cell phones make it easier to pay bills online make these communication devices an even greater threat. Whatever you are saying or doing on your smart phone may not be as private as you think. Hackers armed with a laptop and a little knowledge can watch your every move as you browse the internet on your iPhone. They can even record your credit card information if you decide to make a purchase through your phone. To prevent against this you should only use secure Wi-Fi networks if you are going to be making a purchase from your phone or if you are going to be accessing your bank account. Another tactic by hackers is called “caller ID spoofing”, which means a hacker can call you on your phone and make it look like it is a call from someone else. This is particularly dangerous because if you really think that call is from your boss you might give him personal information that could lead to your identity being compromised. Even voicemail accounts that do not have password protection are vulnerable to crooks. Last year, AT&T had a security issue with some of their phones and voicemail accounts that allowed hackers to be able to listen to those voicemail messages and record the information, so make sure you have password protection on your voicemail account, even though it’s a pain to have to enter that code every time. About the author: Jon writes for a website that helps consumers find the best identity theft protection service for their situation. Many have found the reviews helpful, especially the Lifelock review.